The Autocar Awards, sponsored by BNP Paribas Cardif and Warranty Direct, highlight the highest achievements — and achievers — in the car industry. Some of the most significant figures in the automotive world gathered in Silverstone’s Wing complex to celebrate exceptional cars and extraordinary people. 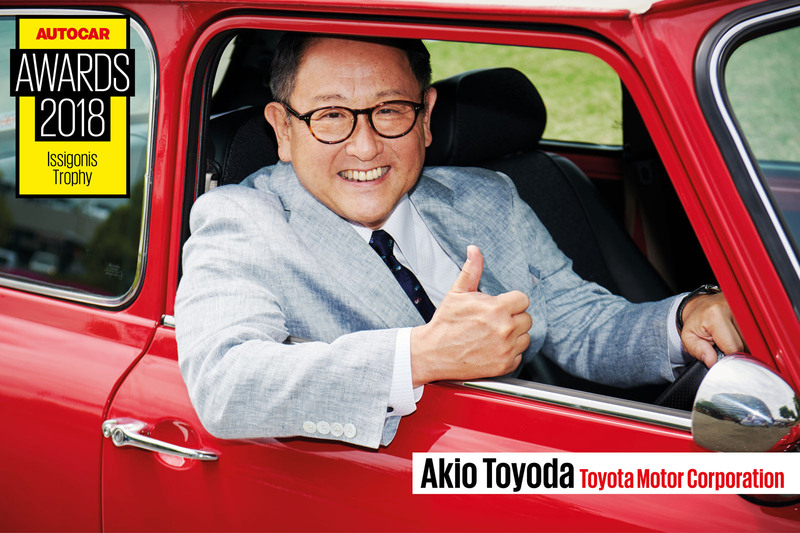 Our top accolade, the coveted Issigonis Trophy, was awarded to Akio Toyoda, for his inspiring leadership of Toyota and for pioneering new technology in the industry. 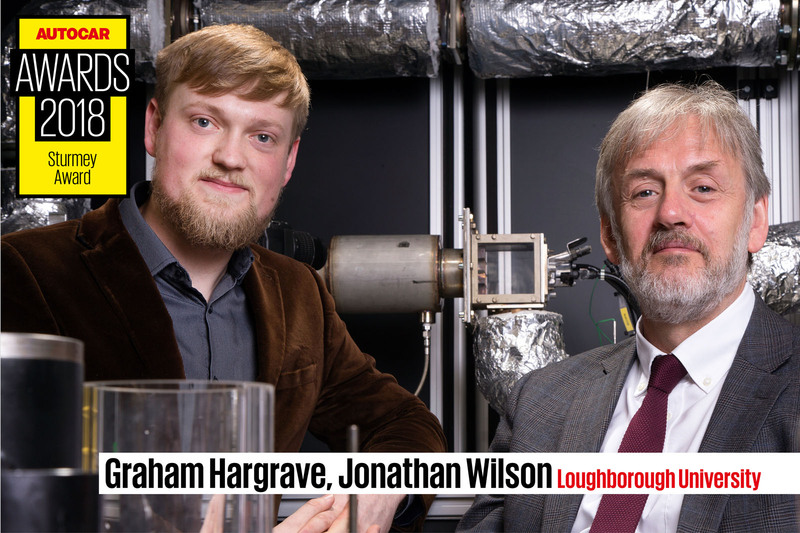 The Sturmey Award, which celebrates innovation and achievement, was jointly presented to Professor Graham Hargrave and Jonathan Wilson from Loughborough University, for their remarkable work developing revolutionary emission reduction technology that's able to dramatically lower the output of nitrogen oxide in diesel cars. Read on to find out who won the rest of this year’s awards. You can also find in-depth coverage of the Autocar Awards in this week’s Autocar magazine. To subscribe, click here. To buy a digital copy, click here. The new Volkswagen Group chairman, Herbert Diess, was presented the Editor’s Award, given each year to the person the Autocar team judge to have had the biggest impact on their company’s success in the past year. 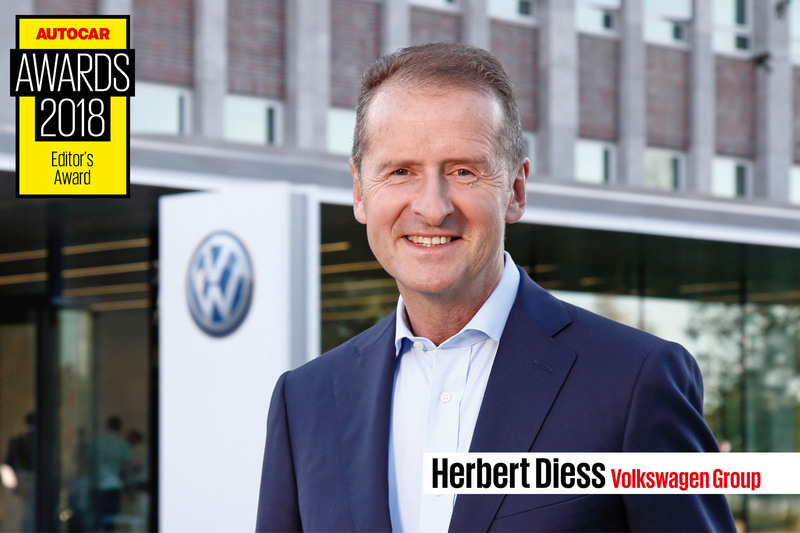 Diess joined VW in 2015, just months before it was rocked by the Dieselgate scandal that he played no part in causing. His job quickly changed to rebuilding the reputation of one of the world’s most trusted car brands, still while boosting profit margins, growing global sales, diversifying the model range with more SUVs and preparing for a future of electrified and autonomous cars. 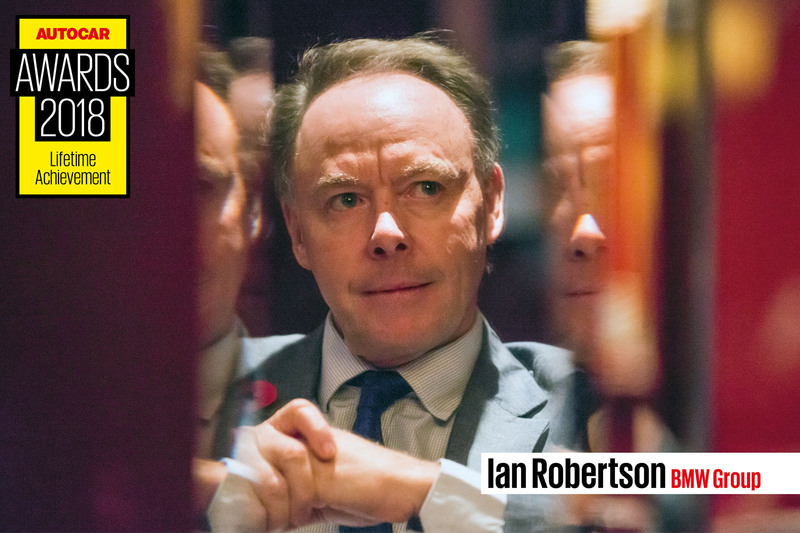 Our first Lifetime Achievement award celebrates the 39-year career of Ian Robertson. Having started as an apprentice at Austin Morris, Robertson rose to the board of the BMW Group, making him the most high-profile Brit in the global automotive industry. Robertson led Land Rover under early BMW ownership, rebuilt Rolls-Royce’s reputation and helped spearhead the expansion of the Mini range and the launch of BMW’s electrified i brand. These awards recognise cars that bring new, higher standards to their classes or defy conventions to the benefit of buyers. As a compact SUV, the XC40 certainly hasn't reinvented the wheel. But while others struggle to blend the lengthy list of requirements demanded by buyers of this most versatile of car types, Volvo has delivered completely and compellingly at its very first attempt. 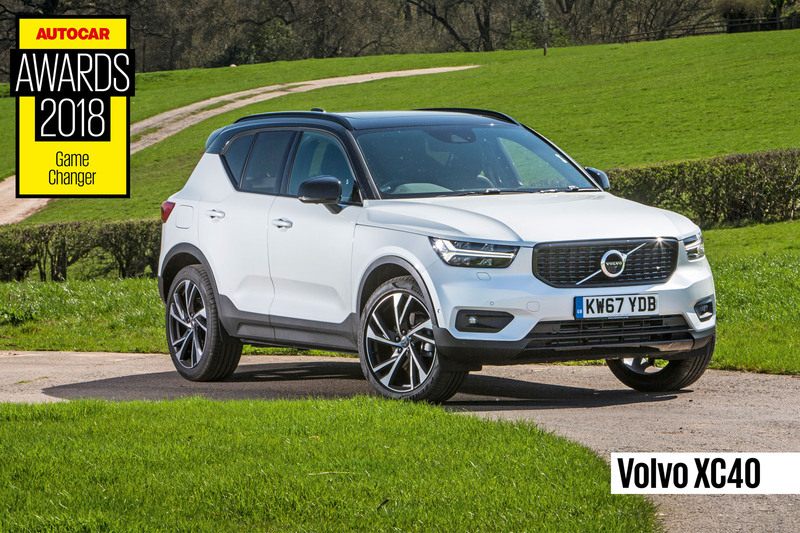 Autocar’s full review of the Volvo XC40. 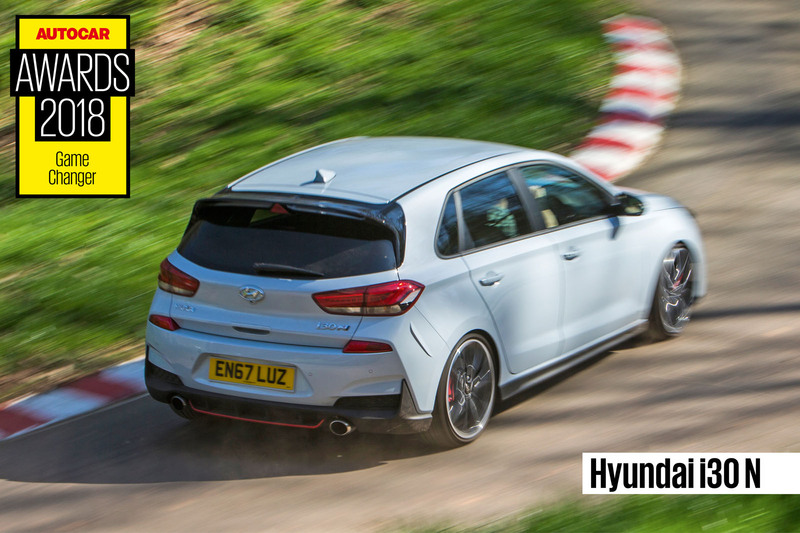 With its first go at a hot hatch, Hyundai has made a machine that's truly fun to drive, completely changing perceptions of the brand along with it — an exceptional achievement in an ultra-competitive class. The i30 N is flawed, but it’s gutsy, likeable and engaging — and already ahead of rivals from established marques. It bodes well for the future of Hyundai’s N performance division. 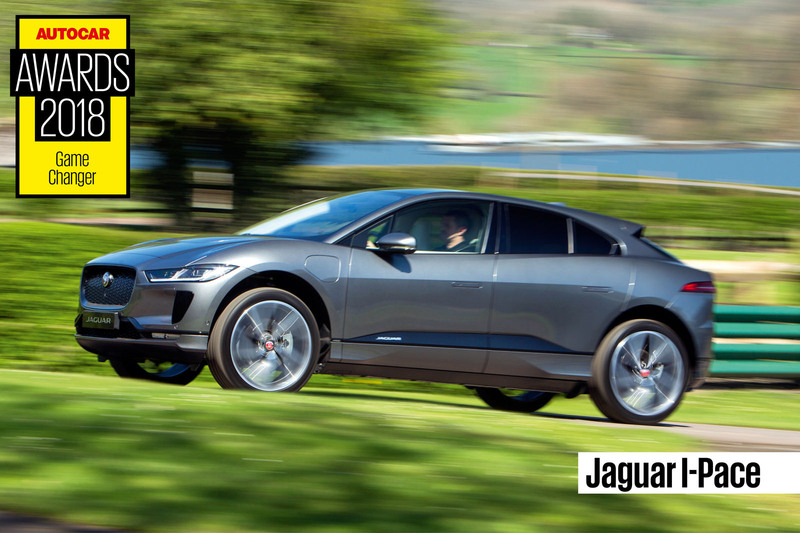 In its design and technology, the Jaguar I-Pace is truly groundbreaking and provides the blueprint for the future of the British car industry. As an electric SUV, the I-Pace also challenges every convention associated with its maker — and yet, on first acquaintance, it’s also excellent to drive. By taking a bold leap into the unknown, the Kia Stinger signals the start of a whole new era for its maker. At its first attempt, Kia has made a credible sports saloon that can challenge the best in the world. 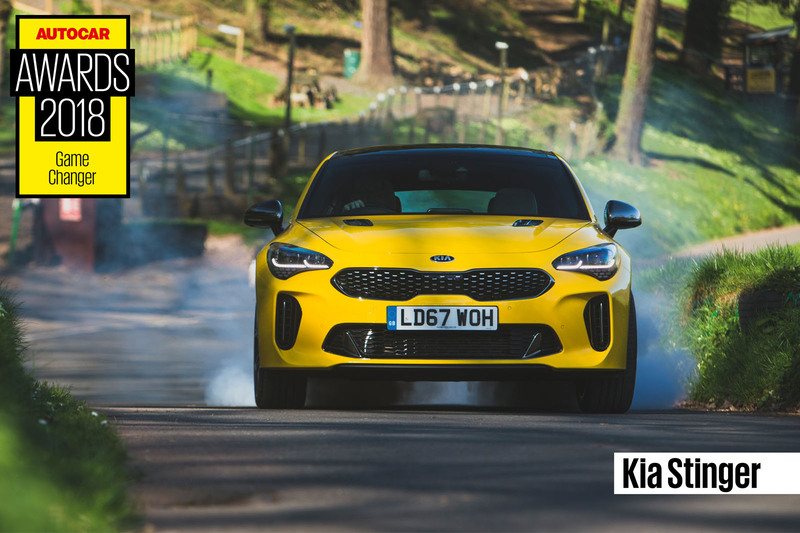 The Stinger is a flagship model that’s intended to show the world Kia is a force to be reckoned with when it comes to creating engaging, dynamically focused, rear-driven driver’s cars worthy of comparison against Europe’s finest. Autonomous cars are a source of constant debate and discussion, but one car maker has already developed ‘eyes off and hands off’ autonomous technology to production maturity and has it on sale. That car is the Audi A8. It is the first production car capable of Level 3 self-driving and can cruise unsupervised in congested motorway traffic at speeds of up to 37mph. It’s a true pioneer in a pioneering class. 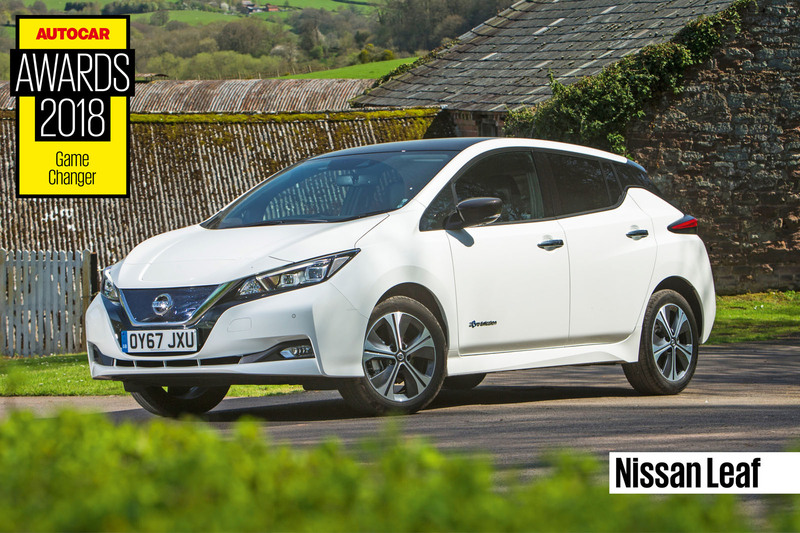 While most car makers are only launching their first generation of electric cars now, the second-generation Nissan Leaf is already on sale. The hugely successful original Leaf blended range, usability and affordability in a way that few rivals have come close to. And the way in which this new model improves on its predecessor represents a towering achievement for Nissan. It’s better to drive, too, making the electric Leaf a true threat to conventionally powered rivals. These awards celebrate those who, through innovation and great leadership, have done an exceptional job of making their companies successful in challenging, changeable conditions. 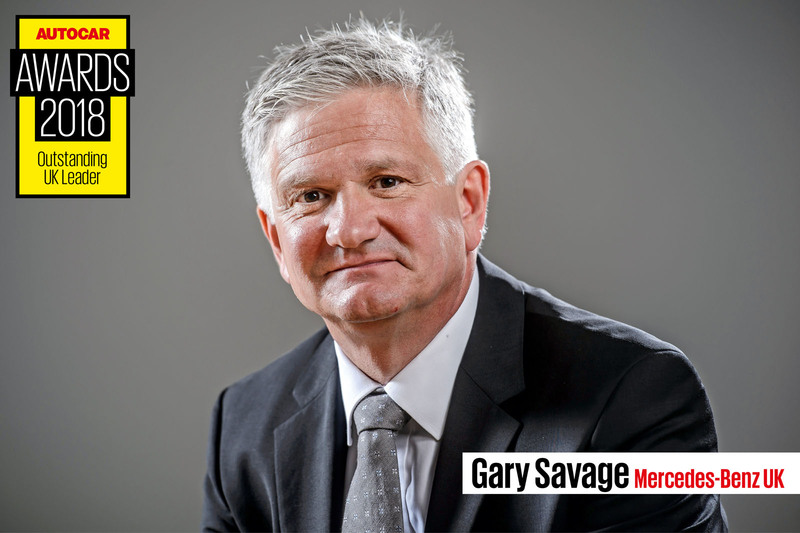 Gary Savage, who joined Mercedes-Benz UK in 2010, won this award in 2016. Since then, the firm has gone from strength to strength and is now established as the number one premium car brand in Britain, enjoying another record year of sales in 2017. 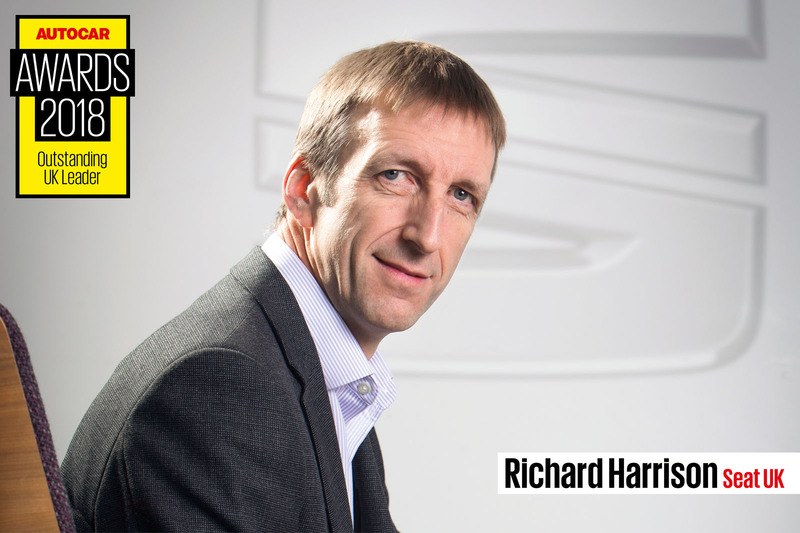 Richard Harrison took the helm at Seat in 2015, but had already spent a decade working at the company. In recent years, he has overseen a transformation of Seat’s fortunes, with unprofitable models cut, long-established models improved and a whole line of successful SUVs launched. 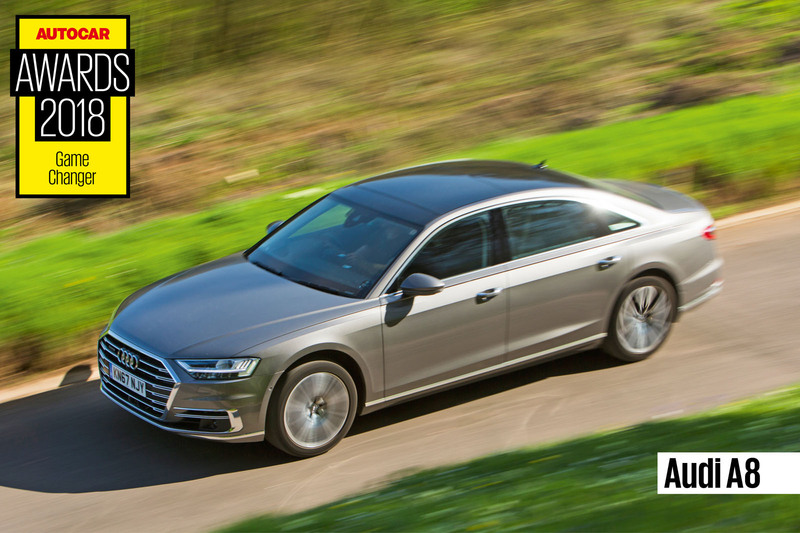 Last year, Seat’s sales rose by 20% — a figure that looks likely to be easily beaten this year. As a former dealer principal at Ridgeway Garages, Dale Wyatt knows the importance of dealers to the success of a car company. 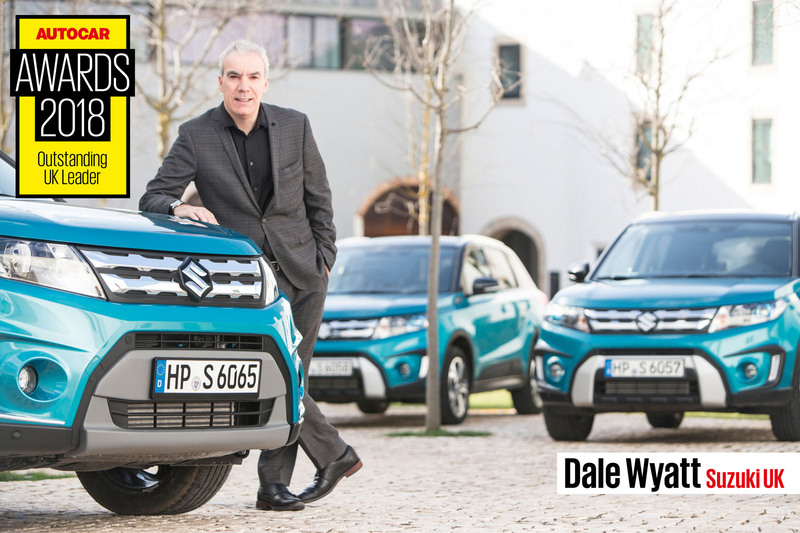 That, combined with his efforts to transition Suzuki from a small-car specialist to one with three SUVs in its portfolio (including its best seller, the Vitara), helped Suzuki increase sales by 5.7% last year. Our used car expert, James Ruppert, asked readers to pick their favourite used cars that can be considered real-world heroes — the sort of dependable machines that keep the nation’s car buyers moving. 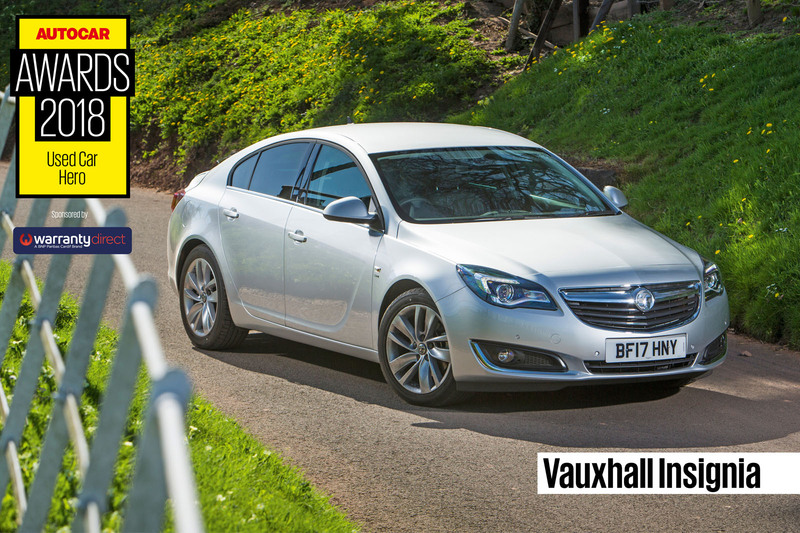 The winner was the Vauxhall Insignia, a great-looking saloon that is packed with kit, economical and can rack up colossal mileage without fuss. Competition is always fierce in our annual Junior Handling Day test, which determines the best affordable driver’s car costing around £100 per week on a PCP deal. 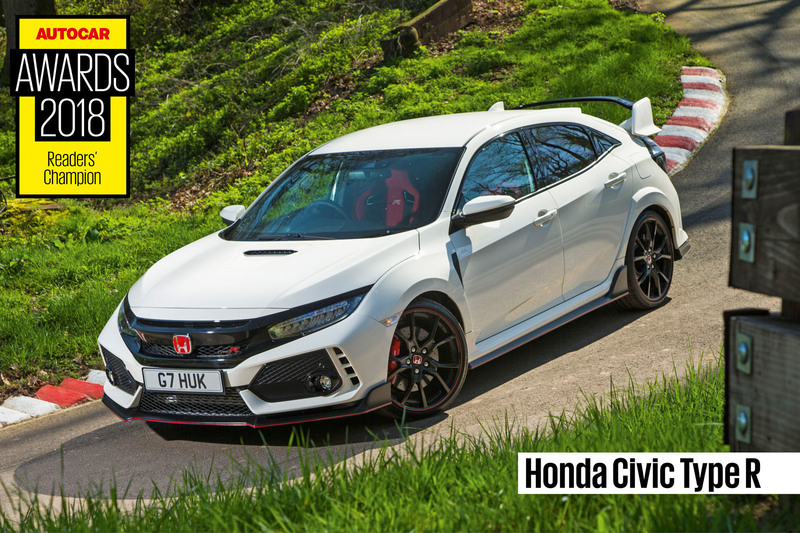 But the Honda Civic Type R emerged a clear winner. The newest version of the hot hatch signals a return to form, capable of lapping the Nürburgring at record speed and offering real dynamic dexterity, yet also providing a relaxed, refined drive on a motorway. 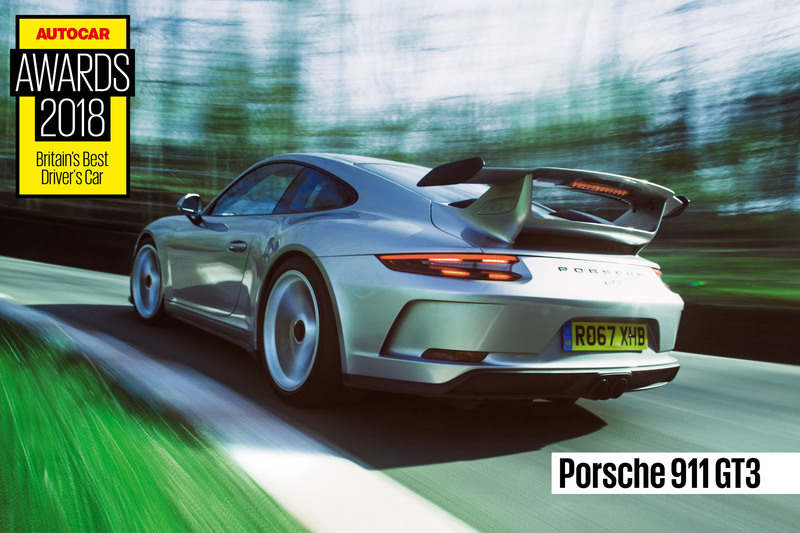 The Porsche 911 GT3 took this award for triumphing in our annual Britain’s Best Driver’s Car competition — and yet its very appearance in that event was unusual. Protocol dictated that we invite the previous year’s winner, the Porsche 911 R, to the event, but we decided to feature the 911 GT3, the car that has in effect superseded it. And the GT3 proved even more special than the 911 R and the nine rivals we gathered for the 2017 event at Castle Combe in Wiltshire. Best known for its 1950s-style kit car, Westfield has quietly reinvented itself in recent years, diversifying to become a world leader in autonomous pods. Having spotted the similiarities in building lightweight sports cars and pods, Westfield has found huge success building the latter, doubling the size of the company to meet demand. Westfield hasn’t forgotten its roots, though, and is developing a new range of sports cars that will cost around £30,000 and be offered with electrified powertrain options. 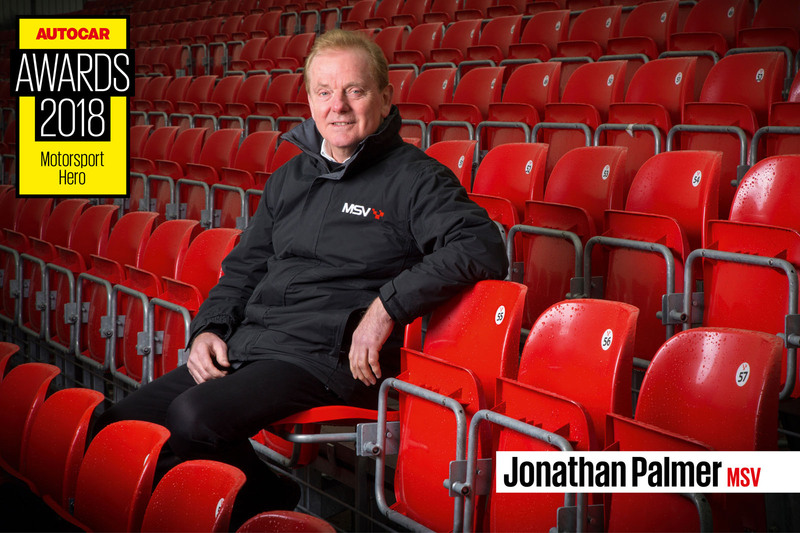 Jonathan Palmer rose to prominence as a Formula 1 racer and commentator, but this award recognises what he’s done since. Palmer founded a driving events firm, PalmerSport, and developed a bespoke venue, Bedford Autodrome. He then launched a series of racing classes before establishing Motorsport Vision in 2004 to develop and run four of Britain’s most famous race circuits, including Brands Hatch. He’s now working on two more — an improved Donington Park and a massive new driving centre on a former air base in northern France. Earlier this year, we named the 31 best hot hatches of all time and asked readers to choose their favourite from that list. 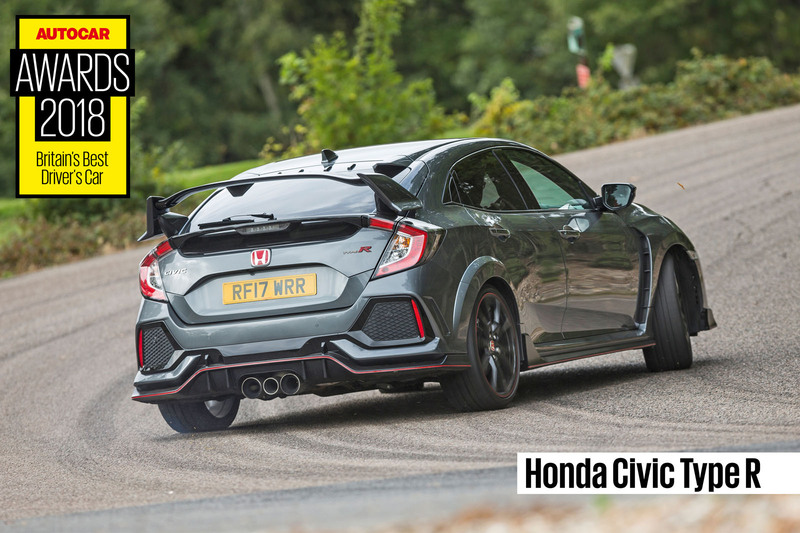 The Honda Civic Type R took an astonishing 20% of the vote to claim the prize, with our readers sharing our love for the best hot hatch currently on sale. While it was a current hot hatch that topped the list, it was followed by two classics: the Lancia Delta Integrale and Peugeot 205 GTi. The Alfa Romeo Alfasud and Ford Fiesta ST were right behind. Named in honour of Harry Mundy, the former Autocar technical editor who developed the Lotus twin-cam engine, this award is given to a star engineer who has made an impact on the industry. During his time at the Renault-Nissan Alliance, David Twohig helped develop the Renault Zoe and Nissan Qashqai. 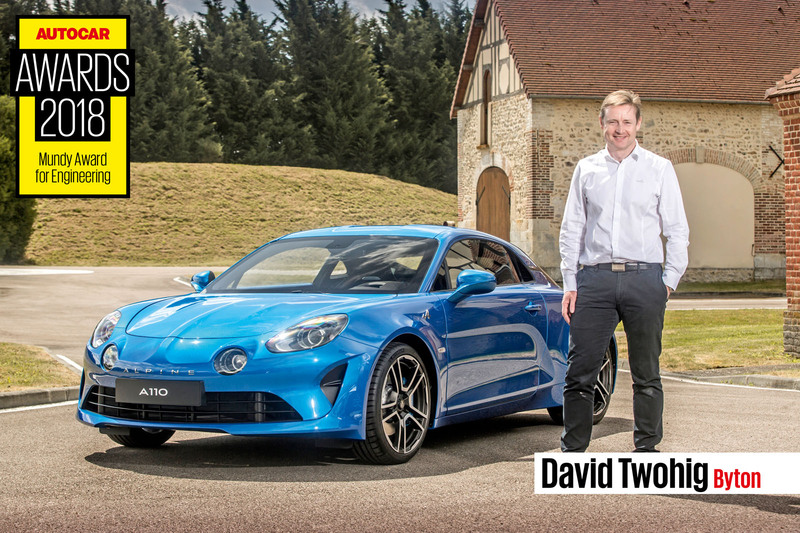 Most recently, he led the development of the Alpine A110, creating a truly brilliant sports car to help revive the storied brand. 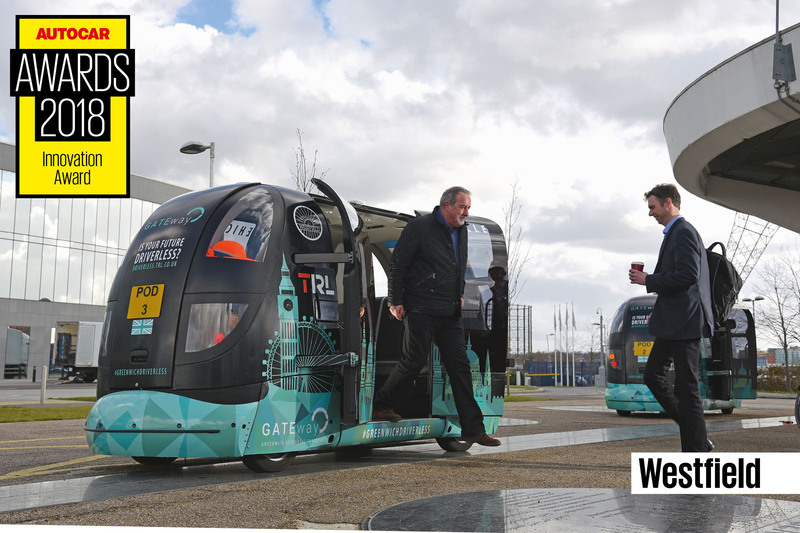 Twohig has recently been recruited to lead development of the new Byton electric car brand, which is the start-up to watch for the future. 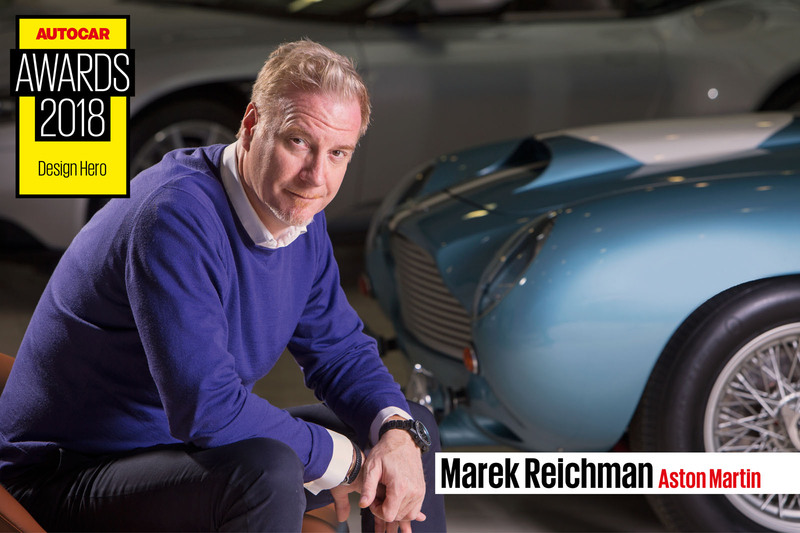 As Aston Martin’s chief creative officer, Marek Reichman is responsible for the styling of some of the world’s most recognisable cars, including the DB11 and Vantage. Until recently, Aston Martin rolled out one stunning but similar look across its entire range, but Reichman and his team have transformed that with a series of show-stoppers, each new model showcasing distinctive character, clarity of purpose and beauty. Autocar invented the road test 80 years ago and ours remains the most thorough and exacting test in the industry. That’s demonstrated by how rare it is for a car to be awarded a five-star verdict; just two have achieved this in the past 12 months. The eighth car to carry the Phantom nameplate displays staggering technical complexity yet functions with immaculate refinement, polish, comfort and grace. It has a sense of occasion far in advance of anything else on four wheels and is now better to drive than ever before. 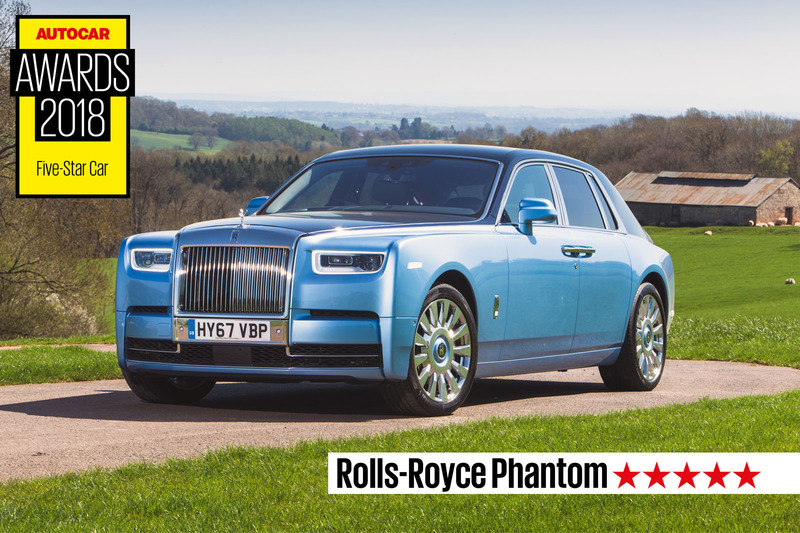 As our road testers concluded, the world’s greatest and finest luxury car is now also the very best. 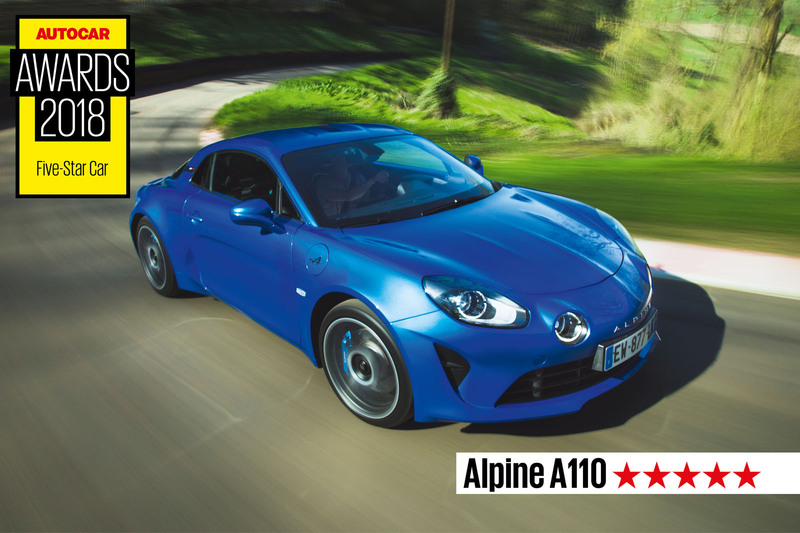 Our latest five-star car, the Alpine A110, has only just undergone our full road test; you can read how it fared in full in this week’s magazine now or online in the near future. But, from our very first drive, it was apparent that this new sports car from a famous returning name was a very special machine. Small, compact and lightweight, the A110 adopts a refreshingly simple, old-school formula to become far greater than the sum of its parts. It's also probably the first genuine rival to Tesla. Tesla is brilliant technology, but Jaguar know how to build cars. That could be the huge difference to Jaguar being massively successful with electric cars. PS - Love them both! Well deserved award, XC40 (game changer?) I don't think so! "In its design and technology, the Jaguar I-Pace is truly groundbreaking" in what way is it groundbreaking? it has nothing not seen before and is very expensive. "provides the blueprint for the future of the British car industry" by producing cars 75% of the UK population can't afford and needlessly go 5 times quicker than they will ever need? Shouldn't Muller be the recipient of the Autocar award. No offence to Diess. He just started leading the infamous group last month after the hasty and yet-unexplained culling of Muller. Surely the credit for selling more cars in the aftermath of the diesel disaster goes to Muller. Unless it was Deiss doing all his work behind the curtains. Reichman's award for design has to be offset by the fact that he comes across as one of the most self-absorbed and pompous "leaders" in the automotive industry. Every time he opens his mouth he is reinforcing having taken over this position from Gerry McGovern. His proclomations are no better in person. He clearly thinks of himself as an incredible talent. Perhaps taking a steer from the understated confidence of Ian Callum might be an idea. The recent relentless promotion of AM by motoring magazines is perplexing. Yes, the DB11 is a very fine looking car. But AM's terms of visual reference is very narrow - the wide bodied, low and long sports car. As styling it is successful but as design it says nothing new. I saw all these cars and these are very good in its design, Interior and performance. I read the paper writing service review to learn more about the electric cars but not get an idea. Is anybody can tell me which electric car is the best in terms of performance. Thanks for revealing best cars of the years and kind words from the founders of cars.